Overkill's The Walking Dead Is a Virtual Reality Experience | Nerd Much? 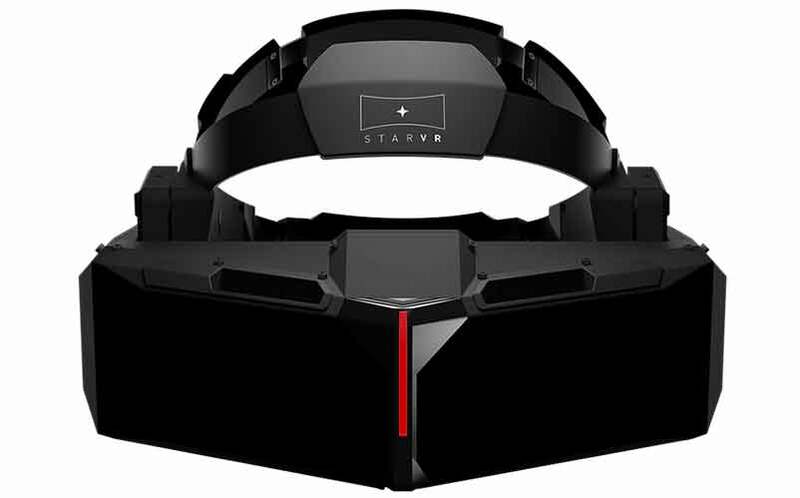 Starbreeze Studios has announced StarVR, a new head-mounted virtual reality display which Starbreeze promises has the widest field of view available in any current VR hardware, including the Oculus Rift and Sony’s Project Morpheus. The StarVR will offer a 210 degree horizontal field of view at 5120×1440 resolution using dual 5.5-inch displays. Starbreeze used Overkill’s The Walking Dead to show off their new VR technology via a private demo at an event in Hollywood. “The landscape of entertainment is rapidly transforming. Experiences are moving from linear to user-determined, pushing storytelling to responsive and inclusive formats. The virtual reality setting allows us to completely immerse our players in our games. Starbreeze is on the frontier of VR development and we see it as a new platform ready for AAA experiences in games such as Overkill’s The Walking Dead“, said Bo Andersson Klint, Starbreeze CEO, in a press release. “Virtual Reality is here to stay and will skyrocket the world of entertainment to a completely new level. At Starbreeze, we are set to be one of the frontrunners of this ground breaking development, bringing the next generation entertainment experiences to reality,” Klint said. The Overkill Walking Dead game demo has you playing as a character in a wheelchair who is being pushed through an area by another character, which basically serves as a way for Overkill to keep you on rails. Hopefully, this sort of on-rails gameplay is just for demo purposes, and the actual game won’t be a linear experience. Still, we suggest you check out Polygon’s Philip Kollar’s experience with StarVR and The Walking Dead game, which he describes here. Overkill’s The Walking Dead is coming to Xbox One, PS4 and PC, and we know that it won’t use the PayDay 2 engine, but will instead use Valhalla.